Certification from IQIE is considered a mark of quality excellence in many industries. It helps you advance your career and boosts your organization’s bottom line through your mastery of quality skills. Becoming certified as a Quality Engineer confirms your commitment to quality and the positive impact it will have on your organization. 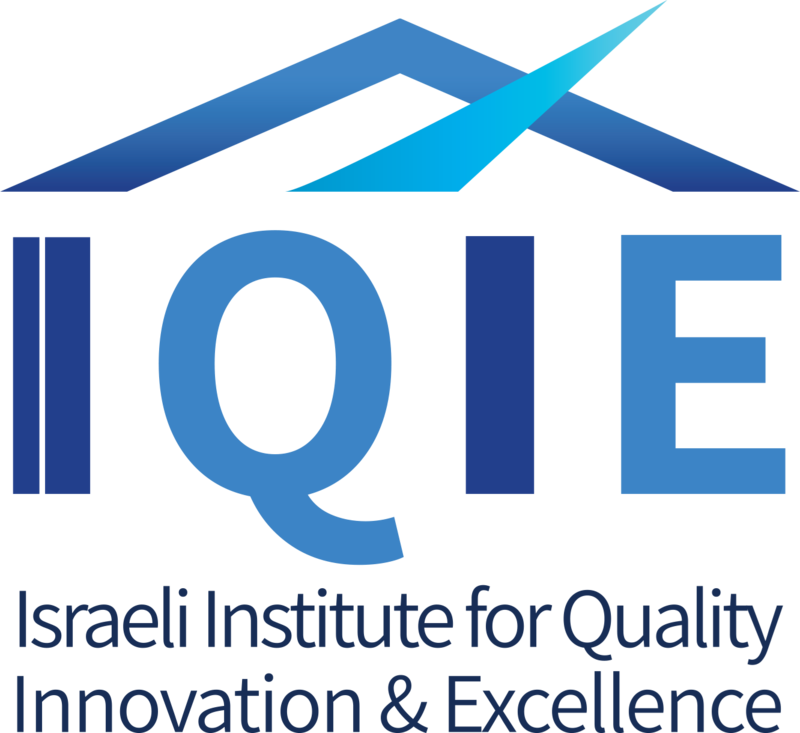 The Israeli International Certified Quality Engineer (IICQE) is a professional who understands the principles of product and service quality evaluation and control. This body of knowledge and applied technologies include, but are not limited to, development and operation of quality control systems, application and analysis of testing and inspection procedures, the ability to use metrology and statistical methods to diagnose and correct improper quality control practices, an understanding of human factors and motivation, familiarity with quality cost concepts and techniques, and the knowledge and ability to develop and administer management information systems and to audit quality systems for deficiency identification and correction. Paper and Pencil – The IICQE examination is a one-part, 160-multiple-choice-question, five-hour exam and is offered in two languages: English and Hebrew..
For comprehensive exam information on the Quality Engineer certification, visit IQIE.org/cert. You must have eight years of on-the-job experience in one or more of the areas of the Certified Quality Engineer Body of Knowledge. A minimum of three years of this experience must be in a decision-making position. “Decision making” is defined as the authority to define, execute, or control projects/ processes and to be responsible for the outcome. This may or may not include management or supervisory positions. Work experience must be in a full-time, paid role. Paid intern, co-op, or any other course work cannot be applied toward the work experience requirement. Experience used to qualify for certification in these fields applies to certification as a Quality Engineer. Diploma from a technical or trade school–one year will be waived. Associates degree– two years waived. Bachelor’s degree– four years waived. Will have a fundamental understanding of quality philosophies, principles, systems, methods, tools, standards, organizational and team dynamics, customer expectations and satisfaction, supplier relations and performance, leadership, training, interpersonal relationships, improvement systems, and professional ethics. Will have a fundamental understanding of a quality system and its development, documentation, and implementation to domestic and international standards or requirements. Will have a basic understanding of the audit process including types of audits, planning, preparation, execution, reporting results, and follow-up. Will be able to develop and implement quality programs, including tracking, analyzing, reporting, and problem solving. ill be able to plan, control, and ensure product and process quality in accordance with quality principles, which include planning processes, material control, acceptance sampling, and measurement systems. Will have basic knowledge of reliability, maintainability, and risk management, including key terms and definitions, modeling, systems design, assessment tools, and reporting. Will have a thorough understanding of problem solving and quality improvement tools and techniques. This includes knowledge of management and planning tools, quality tools, preventive and corrective actions, and how to overcome barriers to quality improvements. Topics in this body of knowledge (BoK) include subtext explanations and the cognitive level at which the questions will be written. This information will provide useful guidance for both the Exam Development Committee and the candidate preparing to take the exam. The subtext is not intended to limit the subject matter or be all-inclusive of that material that will be covered in the exam. It is meant to clarify the type of content that will be included on the exam. The descriptor in parentheses at the end of each entry refers to the maximum cognitive level at which the topic will be tested. A complete description of cognitive levels is provided at the end of this document. In addition to content specifics, the subtext for each topic in this BoK also indicates the intended complexity level of the test questions for that topic. These levels are based on “Levels of Cognition” (from Bloom’s Taxonomy— Revised, 2001) and are presented below in rank order, from least complex to most complex. REMEMBER | Recall or recognize terms, definitions, facts, ideas, materials, patterns, sequences, methods, principles, etc. UNDERSTAND | Read and understand descriptions, communications, reports, tables, diagrams, directions, regulations, etc. APPLY | Know when and how to use ideas, procedures, methods, formulas, principles, theories, etc. ANALYZE | Break down information into its constituent parts and recognize their relationship to one another and how they are organized; identify sublevel factors or salient data from a complex scenario. EVALUATE | Make judgments about the value of proposed ideas, solutions, etc., by comparing the proposal to specific criterial or standards. CREATE | Put parts or elements together in such a way as to reveal a pattern or structure not clearly there before; identify which data or information from a complex set is appropriIte to examine further or from which supported conclusions can be drawn.